I first read The Way of Kings back in the fall of 2010 when it first came out. I had vowed to reread it closer to when the sequel was going to come out, and knowing I had 6-8 hours of airport time coming up in January, I opted to dive back in. I can count maybe a dozen books I've reread ever, so that should speak to how highly I hold this book. What I found/realized again pretty quickly was that this book really is a treasure. There's something special about this that doesn't exist in Brandon Sanderson's other books, nor in a lot of books I read period. I've always considered it an all-time favorite, but coming back into the book and getting back with all these plotlines and characters, it became clear pretty quickly how superior this is to everything else I've read. I didn't have a ton to say about it when I initially read it. I recognized it then as a story that follows at least four different character storylines and didn't feel long enough. I recognized it as completely, 100% epic in every sense of the word; simply the best thing I've been able to read in ages. It's high fantasy without obvious tropes. It's an interesting story without feeling like you've seen it all before. What grabbed me in my reread, however, is how much I really didn't remember as compared to what I read now. My recollection of a lot of Kaladin Stormbringer, slave and leader of the bridge crew was filled with holes, I didn't care much for the parts involving Shallan, the deceptive prefect of Jasnah, the first time around and it was easily my second favorite part of the book on the reread. I couldn't recall much of the Prince Dalinar storyline at all, I completely forgot about sprens (little...somethings that operate in tandem with the world, and so on). I'm glad I reread it based on that alone. Really, though, rereading it was a joy only because it's so good. Kaladin is an interesting, complicated character. The Shallan story pays off. My hopes for a great Szeth (an assassin) tale might be delayed a while longer (word is that it will be the third book in the series), but that's okay. This brings us to Words of Radiance. 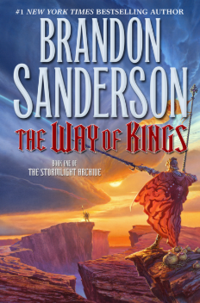 It takes place basically right where Way of Kings ended, so be aware of spoilers for a lot of Sanderson's books from this point on. The Way of Kings has been on sale for Kindle for a while, and may still be available cheaply in your area. 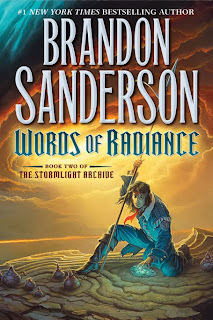 Words of Radiance came out worldwide last week. You really owe it to yourself to grab both of these sooner rather than later. Read this if you're in the mood for an epic fantasy that has it all. 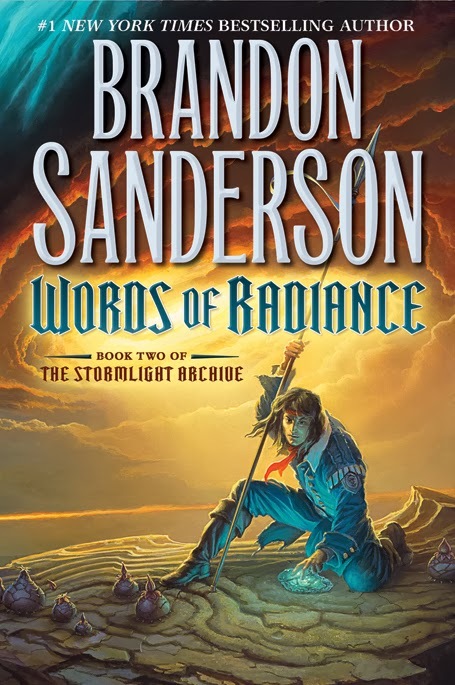 Brandon Sanderson is one of my favorite authors, and I'll continue to read everything he writes, especially this series. The second book can't come fast enough for me. I can't wait to see what happens next.